RANGERS can boast a fantastic tradition of men who have dazzled opponents and supporters alike with their trickery, speed and skill on the left wing. Men like Alan Morton, Johnny Hubbard, Davie Wilson, Willie Johnston, Davie Cooper and Brian Laudrup undoubtedly left their mark on the Ibrox club. However, Alex Smith was the original wing king in the Light Blue, electrifying Rangers fans for all of 21 years with his terrific ability and a fabulous return of goals with a ratio of nearly one in every three games. Remarkably, he only got his chance when a fellow Darvel villager Nicol Smith, who was no relation, convinced Rangers to give him a trial in a friendly game towards the end of the 1893/94 season. Alex was outstanding in 3-1 win against FA Cup holders Notts County at Ibrox and he went to enjoy one of the longest and most productive careers of any Rangers player. At just under 5′ 8″ and weighing around 11 stone, the Darvel lad had a typical winger’s build and he was also blessed with great stamina. His reputation was that of an unselfish player who loved to create for others and his low, swerving crosses were said to be a nightmare for opposing goalkeepers. 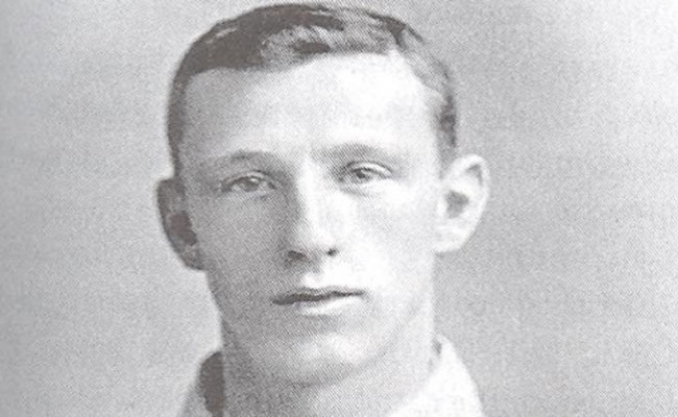 It is a sign of his huge contribution and consistency that he appeared in 69 of the 74 matches during Rangers four-in-a-row championship run between 1898 and 1902. He regularly set up chances for the main goal-scorer of the era Robert Hamilton, otherwise known as R.C. Hamilton, who was top scorer in each of these glorious campaigns, sharing the accolade with Smith in 1902. The Ayrshireman was equally productive in the Scottish Cup at that time by scoring in the 5-1 crushing of Dumbarton in 1897. The following year he scored in the final again when he and Hamilton got the goals in the 2-0 win over Kilmarnock. Remarkably, of the 22 men on the field that day on March 26, 1898, 16 of them were from Ayrshire. Killie had nine local men and Rangers featured seven from the area. Smith was on the winning side again in 1903 when Hearts were defeated in a second replay 2-0 after a 1-1 draw and a goal-less second match. It was the fourth time that Rangers had lifted the Cup. Incredibly, it would be 25 years before they lifted the old trophy again. It was to be the end of the decade before Rangers were successful again in a major way. They had lived in the shadow of Celtic who had won six successive league titles but Smith was still a key man in the new Rangers team that ended that run and started one of their own. They scored a record points total of 52 in 1910/11 from what was now an 18-team division and Smith played in 29 of the 34 matches. There was the added bonus of beating Celtic in both the Glasgow Cup and Glasgow Charity Cup Finals. Rangers retained the title the following season and again Smith was at the hub of it all, creating the chances mostly finished by Willie Reid who scored 33 goals that season. They made it a hat-trick the following year in season 1912/13 with an even better points tally of 53, although in a benefit match for Smith which drew a crowd of 35,000 Rangers were beaten 5-1 by an International Select. Scotland made good use of the winger’s services and he took part in 20 internationals in total, a record at that time for a Rangers player, including the famous 4-1 home victory over England in 1900. His last match was in October 1914 and he retired at the end of that season, returning to his native Darvel, to work in a lace-making business in which he was a partner. He died in November 1954. Born: November 7, 1876, Darvel, Ayrshire.